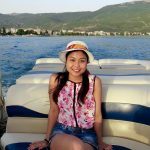 As more and more Southeast Asian travellers flock to Europe to experience completely different cultures, and see jaw-dropping castles that we could only fantasise about as children, we become more and more curious of what we could possibly be missing. Well, we surely know a certain city that no passionate traveller should ever miss out on — and that’s Vienna, Austria. The city of Vienna can strongly stand alone in its own right as an ultimate European destination. It did, after all, play host to the most famous musical composers of all time and is one of the best places in Europe to experience a peaceful, artistic, and nature-loving Baroque city. But to absolutely convince you to buy your ticket to Vienna, let’s paint you a better picture of it. Vienna is the ultimate destination for music lovers and musicians alike. Think of it as a musical oasis where it’s completely acceptable to play music anywhere, whether on the streets or in the opera house. In other countries, you may also encounter musicians playing their instruments outdoors, but you’ll probably experience it more often in Austria —especially in Vienna. If not for anything else, Vienna has been known throughout the years as the city where the musical careers of the likes of Mozart, Beethoven, and Johann Strauss took off. 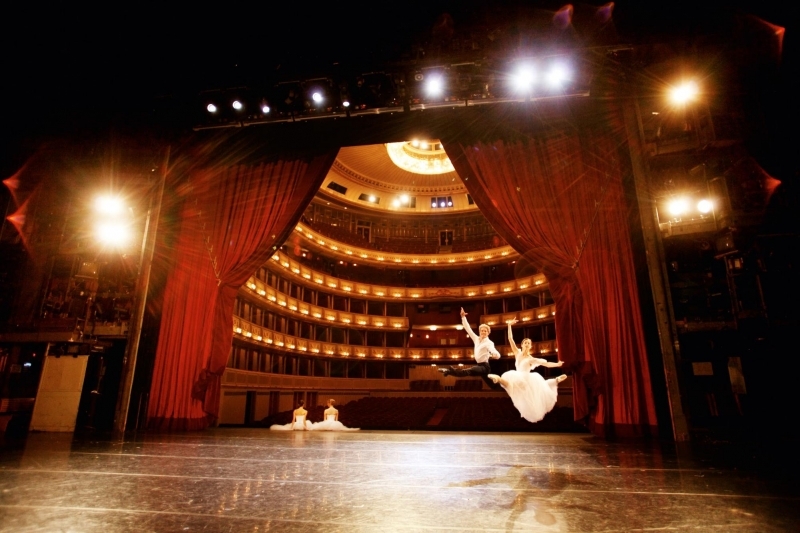 Even today, the city boasts of treating residents and tourists to live performances of classical music every night. Each year, there are more than 15,000 music concerts of different genres in the city. This is a destination where music is a top priority, truly deserving of the title of The City of Music. Trivia: Wolfgang Amadeus Mozart was actually married in St. Stephen’s Cathedral. His children were also baptised there and his funeral took place in the Chapel of the Cross inside the cathedral. When he was six-years-old, he also started to compose music in the Schönbrunn Palace. Yes, you can live out your fairytale fantasies here in Vienna. The city holds 27 imperial castles, with commercial and residential buildings that have architecture depicting the days when monarchies and peerages governed European society. One of the first destinations in Vienna that will give you that visual feast is its city centre, Stephansplatz. There, you’ll see St. Stephen’s Cathedral, one of the most beloved landmarks in Austria and one of the city’s main attractions due to its magnificent Gothic and Roman facade. This cathedral underwent a cycle of reconstructions over thousands of years, the oldest part being built in the 13th century. Delving into Vienna’s history, you should also explore the historic Schönbrunn Palace and Belvedere Palace. Schönbrunn Palace, a UNESCO World Heritage Site, is one of Europe’s most beautiful Baroque complexes, having magnificent furnishing and one of the most striking Rococo-styled interiors in the world. Belvedere Palace, on the other hand, is home to the world’s biggest Klimt art collection including “The Kiss”. This is also a wonderful place to spend an afternoon amidst Baroque landscapes and medieval art. While you’re here, make your experience even more magical by hopping on a horse-drawn carriage. Tourists who can’t be bothered by straining their legs will surely gravitate towards these horse carriages, locally known as “fiakers”. Fiakers are perhaps the most traditional mode of transportation you’ll find in Vienna that’s a must-try for travelling families and couples. Fiakers can be found in various commercial areas such as Stephansplatz, Michaelerplatz, Albertinaplatz, and Petersplatz. Now, let’s talk about Vienna’s culinary world, because what kind of travellers would we be if we weren’t game enough to taste Viennese cuisine? Everywhere you go, whether it’s a trip down the Old City or a stroll on sidewalks, you’ll find a range of eateries. There are fancy restaurants that serve Vienna’s fabulous schnitzels, goulash and tafelspitz, bistros where you can have beer with warm and traditional comfort food, and quaint cafes that offer affordable meals. All these delectable culinary spots have cosy atmospheres where you can enjoy both music and food. There’s no wonder why their culinary scene is the epitome of what Austrians call gemütlichkeit, which translates to friendliness. Trivia: In the Old City, you’ll find a restaurant called Griechenbeisl. It is one of Vienna’s oldest guest houses, which catered to guests such as Beethoven and Mozart. Vienna has a coffee culture that’s ever so tempting as you walk inside the cafes and bakeries. The sweet aroma of baked bread and pastries, topped with the comfortable warmth of your favourite coffee is all you need to escape from the chill of the colder seasons. Locating Vienna’s coffee houses isn’t hard. In Vienna’s Old City alone, you’ll find a number of traditional cafes. Some have been around since the imperial times, while others were inspired by the 19th-century coffee culture. 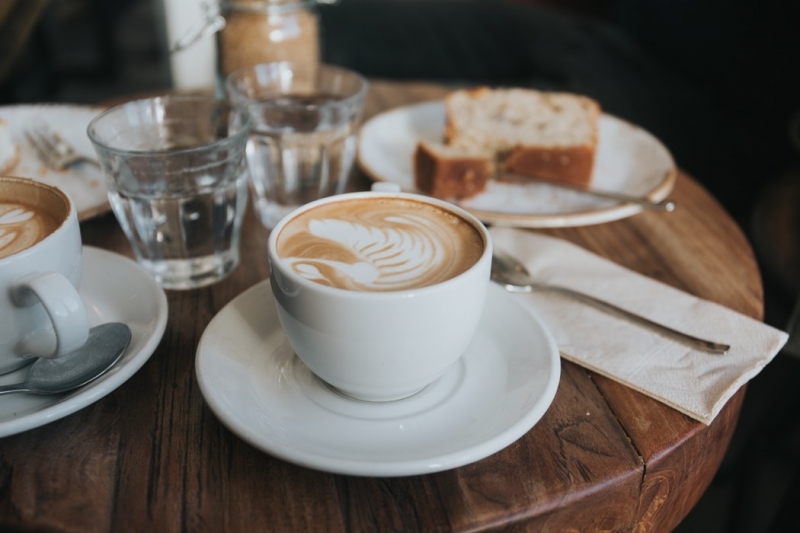 With Vienna’s naturally romantic and Baroque interiors imbued in these coffee houses, it’s easy to simply sit back and relax as you listen to the soft cafe music while sipping your coffee. Fashion lovers, listen up. 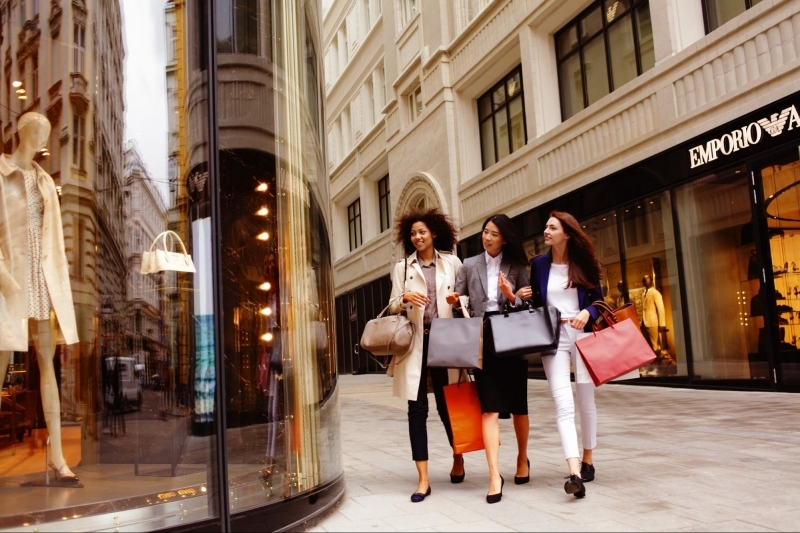 You can shop for your favourite luxury brands in Vienna too, and we mean every high-end label worth the hype such as Dolce & Gabbana, Michael Kors, Dior, Ferragamo, Burberry, Chanel, Gucci, and so much more. Vienna’s not just all old-world as you may think. Modernity is definitely found in its commercialised retail services. While wearing the latest sartorial finds could complete a traveller’s shopping experience, getting a taste of one of the world’s finest wines will too. Vienna has had a long tradition of winemaking. Tourists can tour the city’s wine cellars such as the 500-year-old Villon Wine Cellar, the 16th-century wine cellar in Palais Coburg, and the cellar vaults at the Artner Restaurant which dates back to the Middle Ages. And you know what they say, the older the wine, the better it tastes. Another way to milk your vacation in Vienna is to invest in the arts. 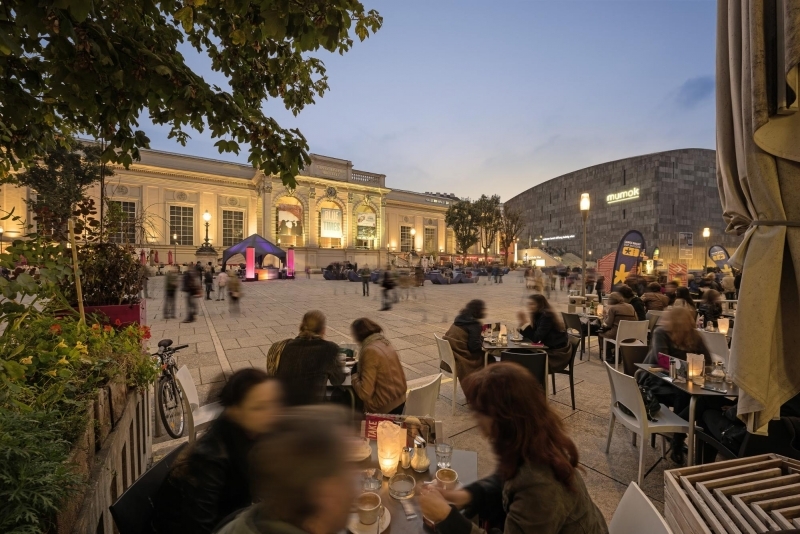 Purchasing artworks, jewellery, and collection items is quite common in Vienna thanks to its art galleries and auctions that happen more than 600 times a year. One important thing to note is that Vienna is home to The Dorotheum, one of the world’s biggest auction houses and the largest in Central Europe. Clearly, this city takes music and art very seriously, whatever shape or form they may be. Apart from taking you back in time to Austria’s imperial period, indulging your artistic sensibilities, and giving you a palatial shopping experience, Vienna is a completely secure and peaceful city for a well-deserved holiday. Experienced travellers can confirm this, and Viennese people will definitely stand by it. 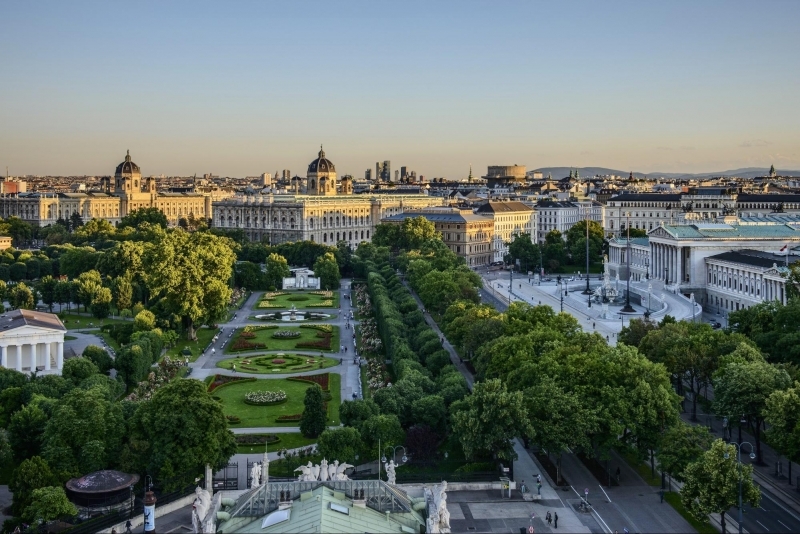 Based on the Mercer Study in 2018, the city of Vienna was voted the most liveable city for the ninth year in a row and the quality of life is off the charts. The main reason for this is because this city has more green space than any other in the world, and we all know that the more nature-filled and nature-loving a city is, the more relaxing of an atmosphere it provides. The best part? Vienna is officially one of the safest cities on earth! From Singapore, the fastest and most ideal route you can take going to Vienna, Austria is to fly with Singapore Airlines. It’s approximately a 15-hour travel time with a stopover in Munich. Other easy options are Thai Airways and Lot Polish Airlines. Both also have an approximate of a 15-hour travel time. Thai Airways has a stopover in Bangkok, while Lot Airlines has one in Warsaw. Tip: When in Vienna, you may avail of the Vienna City Card, which gives you a free pass in tourist attractions and public transportation, including hop-on-hop-off buses. This card is available to purchase in hotels. 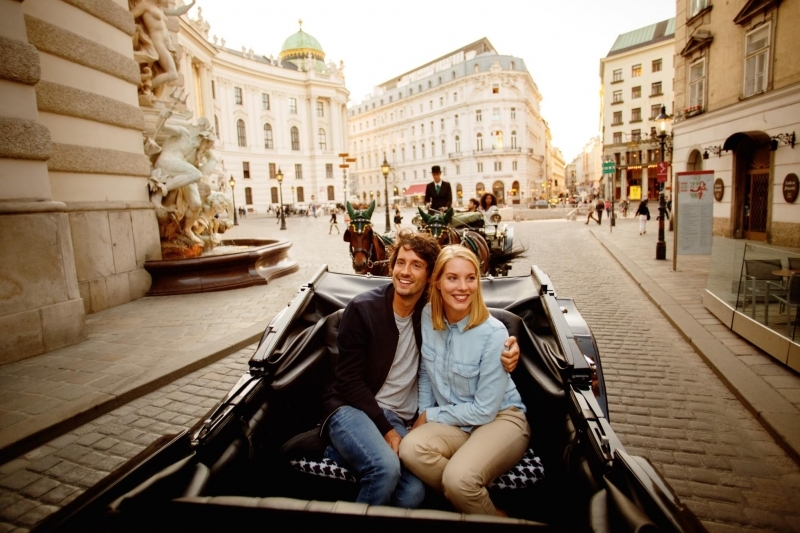 For more information, please visit Vienna Tourist Board’s official website and Facebook page. Brought to you by Austrian National Tourist Office (ANTO) and Vienna Tourist Board.